Discover this 8 day Greek island hopping package from Athens to Mykonos and Santorini islands. 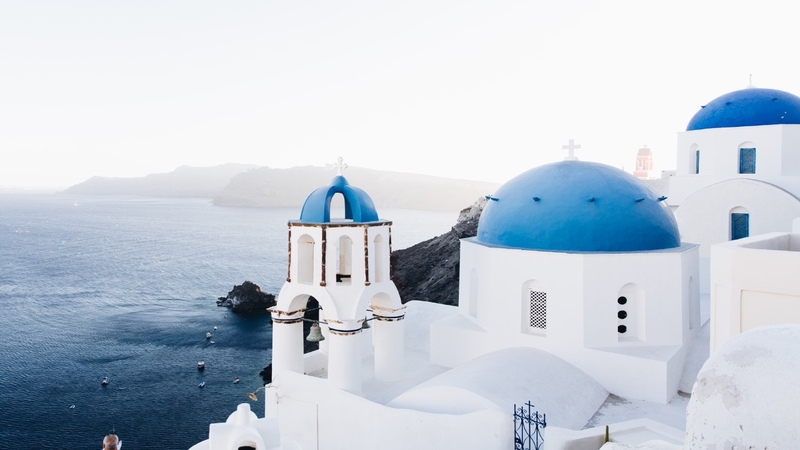 Santorini and Mykonos rank as some of the top islands to visit in Greece. 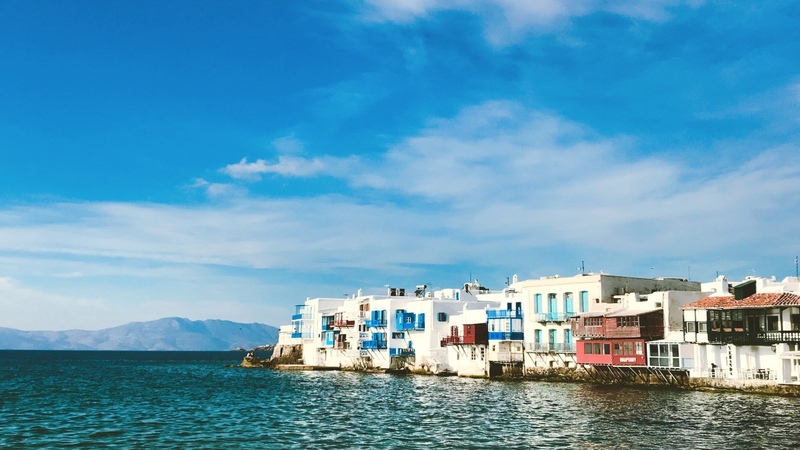 Both located in the Cyclades, Mykonos is famous for the extreme nightlife and the wonderful beaches, while Santorini is famous for the romantic sunset and the impressive caldera. The traditional architecture, the beautiful coastline and the fantastic views are some of the common characteristics that these two islands share. Day 01 Arrival / Athens. The day is dedicated to exploring the city of Athens. 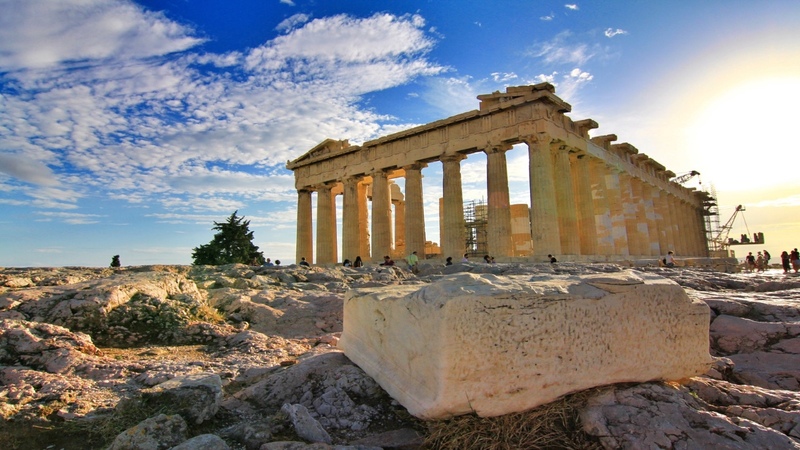 We begin with a panoramic tour to the most important monuments and landmarks of the city including the Panathinaikon stadium, the Zappeion, the temple of Olympian Zeus, Hadrian’s Arch, Syntagma square, the Parliament, the tomb of the unknown soldier, Schliemann’s house, the Academy, the University, the National Library, and the old Parliament. Next, we head for a guided visit to the Acropolis, including the Propylae, the temple of Athena Nike, the Parthenon, the Erechtheion. Later, continue with a guided visit to the Acropolis museum voted one of the best museums in the world. Afternoon at leisure to explore Plaka, the picturesque old part of the city, and why not, some shopping at Ermou street. In the morning you will be transferred to the port of Piraeus to catch the local ferry to Mykonos. Arrival in Mykonos and transfer to your hotel. Rest of the day at leisure. At leisure to explore the famous island, a meeting point of the international “jet set”. Discover its amazing beaches, and enjoy the unique night-life. After breakfast, transfer to the port of Mykonos in time to catch the local high-speed ferry to Santorini. Arrival in Santorini and transfer to your hotel. Rest of the day at leisure. At leisure to explore the magical island of Santorini. Discover Fira & Oia with the breathtaking views to the volcano, and enjoy one of the best sunsets in the Aegean. Explore the unique black-sanded beaches or take a boat tour to the islands of the caldera. Transfer to the local port to catch the ferry back to Athens. Arrival in Athens and transfer to your hotel. Breakfast at the hotel and at the indicated time transfer to the airport for your departure flight.